they will not need prescription from doctors." When you're sick with the cold or flu, try some of these cold remedies. Rest easy knowing that your recovery comes from centuries of experience and success. Ginger consists of Gingerol, Zingiberene, and fiber. It helps the body lower fevers, drain sweat, kill bacteria, strengthen the stomach, soothe the lungs, and reduce coughing. After eating ginger, one may feel hot while it helps blood vessels accelerate blood circulation. Raising the body temperature helps bacteria and humidity subside. During the summer season, gastric and salivary secretion is at a low level thus decreasing the appetite. Ginger can increase the appetite. 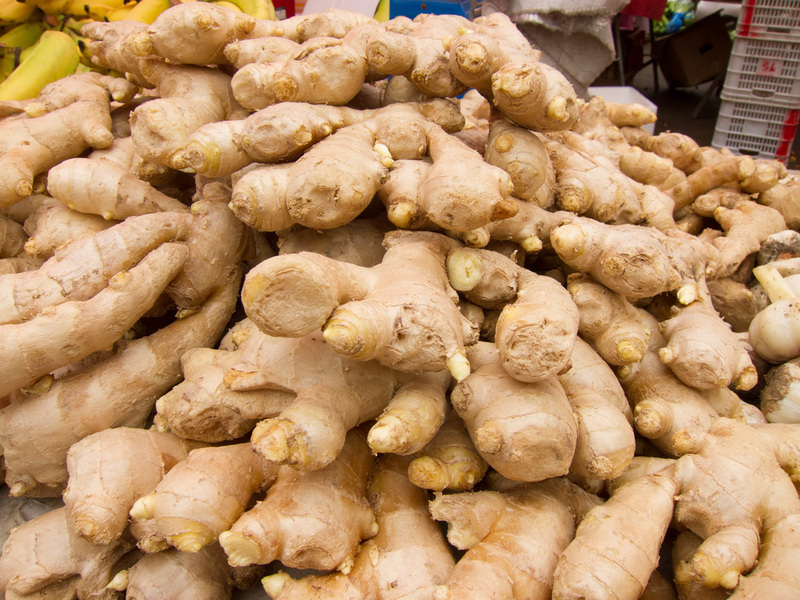 Different types of bacteria fester during this season and ginger can help in defense as a bacteria killer. Ginger has its summer benefits. This is the simplest remedy. Boil several pieces of ginger and water together for three minutes. Drink the tea and eat the ginger, too. Bring all ingredients to a boil for 10 minutes. Drink while hot, when safe enough to drink. 1 one-inch piece ginger (smacked), juice from one lemon, a tablespoon of honey, and two cups of water. Boil all ingredients together for at least 10 minutes. Many people enjoy drinking ginger, lemon, and Coca Cola as a popular remedy to cure a cold and cough. But, cola consists of a lot of caffeine, carbonic acid, and sugar giving a lift in mood and energy temporarily. The health benefits of the popular cola ginger lemon drink can be attributed to the ginger and lemon. 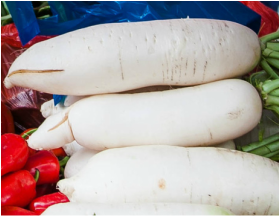 Daikon, or white radish, are most commonly used for fighting colds. Radishes have 91.7% water and a lot of Vitamin A, Vitamin C, and Calcium. According to traditional Chinese herbal medicine, radishes are the most useful vegetable. It is also known as "little ginseng." During the winter, people are accustomed to replenishing their bodies with more nutritious food, such as a variety of meats to keep warm and partake in fewer daily exercises. This causes a lot of extra "heat" to accumulate in the body. Radishes are a seasonal vegetable and belong to "cold" food according to traditional Chinese medicine. Radishes also help to aid digestion, dispel phlegm, quench thirst, and reduce cough. Nutritionally, radishes help improve the immune system, digestion, nutrient absorption, and soften blood vessels. It is helpful with cooling blood, stimulating appetite, and—dare I say it again—eliminating phlegm. In north China, the air is dry and there fewer vegetables available. People usually eat white radish to prevent from dry throat. When people feel they have phlegm in their throat, they eat raw white radish to recover. Shred radish and toss with honey. Continue eating the salad for several days. "Known as a super fruit in some regions of the world, the pear holds precious cooling compounds to energize the lungs, keeping the area moist and free of bacteria." 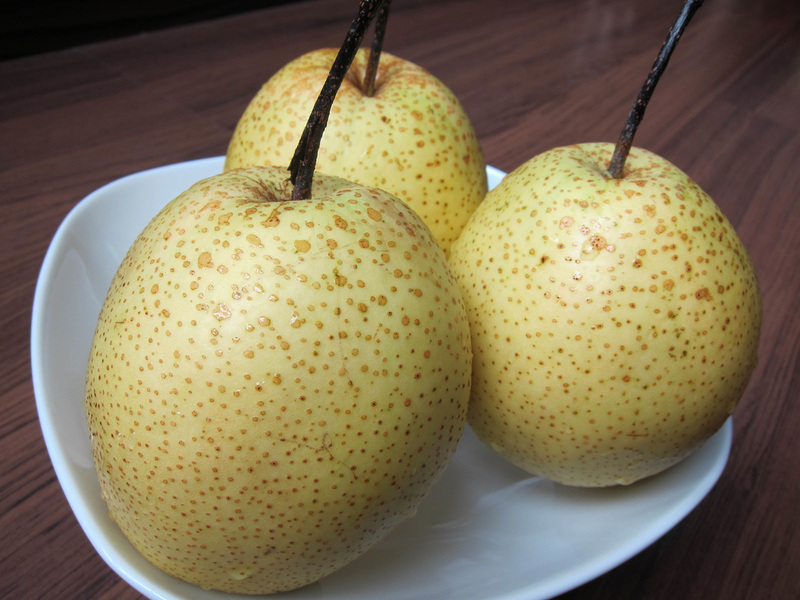 Read more here: Health Benefit of Pears: Healing Coughs and Colds With Diet by Cheryl Murphy. Boil pears and honey in water for about 30 minutes. Drink while hot. Soften white fungus in warm water for 15 minutes. Slice pears into spoon-sized pieces. Bring water to a boil and add all ingredients. Simmer for about an hour.